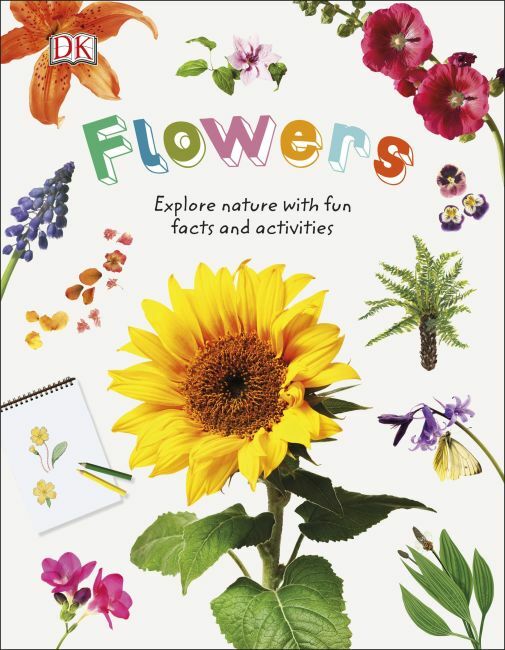 A first nature book about flowers for children, this is the perfect companion for young minds eager to learn about the world of flowering plants. Children are encouraged to investigate and record all the wildflowers they find and get hands on with the fun activities, from pressing petals to preserve them to making a mini desert filled with cacti. With a mix of fantastic photographs and beautiful illustrations Flowers takes you through everything you need to know about these beautiful blooms. Learn which plants flower and which don't, how pollinators help plants make seeds, and what the parts of a flower are. The Nature Explorers series is essential for any child curious about the world outside. Each book in the series takes children through the basics of the subject, starting by explaining what it is and then moving on to the key topics. These are wonderful introductions to the great outdoors, packed with fun facts and engaging activities, ideal for children aged 6 and up.